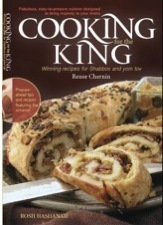 Cooking for The King are the cookbooks I've always wanted to have for myself and share with others. They are the books women I respect have asked for. Every recipe can be made with ingredients from your pantry and in a trip to one grocery store. The recipes are straightforward, no fancy equipment required. There are menu ideas, preparation tips, substitution suggestions and make ahead recommendations. Plus, they are chizuk, they are elevating. Sometimes funny and sometimes serious. They speak to who we are and who we really want to be. 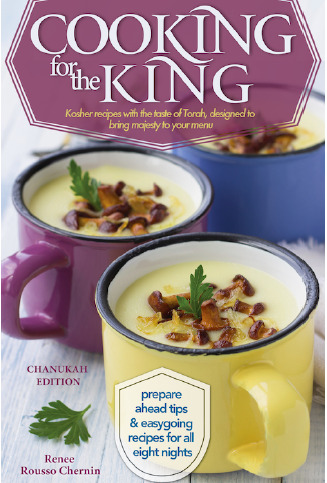 As one reader put it, "It's a sefer for women, disguised as a cookbook!" And of course, they are lovely to look through. Each are about 120 pages with beautiful full color photos and layout on rich pages. Designed for you to enjoy both in and out of the kitchen. You see, I've been listening to what women are saying. That is why I wrote these books. I truly hope you enjoy being Queen in your kitchen, Cooking for the King.